How I came across the store and what’s it about? 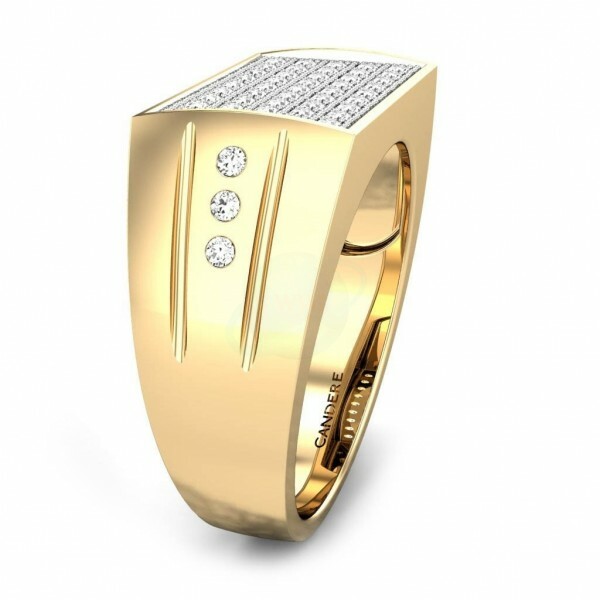 Candere.com is a website that sells men’s and women’s jewellery, solitaires, gemstones and gold coins. How I came across it? It is like everywhere. The brand is available on all the leading shopping websites but their original website has the largest collection with the most awesome features which I am going to discuss one by one. This is going to be a bit long review but you can surely scroll down to the bottom section to see a quick review in bullets form. Let’s begin with gemstones. So, they have rings, earrings and pendants available in 14 kinds of gemstones including Ruby, Pink Sapphire and blue Sapphire which are my personal favourites. You can also search for a product of your choice by specifying stone color, stone shape and number of stones. This collection is available for both men and women. The best thing about the gemstones collection is the designs. Usually, we get normal round rings when it comes to gemstone studded rings but they have a really pretty collection of rings. Truthfully, I found some of the most simple and stylish rings in this collection. Although the collection for women is bigger than the men’s collection but there are a lot of designs (50+) for men in rings section as well. The gemstone earrings are also really good. There are small studs kinda earrings for young girls and there are also big long earrings for elder women. And the pendants are super gorgeous. Unisex pendants are also available. This is going to be my second favourite section after the diamond jewellery section. But this would be the one where I would do the most shopping from for I love gold coins, thanks to uncle Scrooge Mcduck in Duck Tales because of whom I have always had a thing for gold coins and I do like to buy them. The lightest one costs for less than Rs. 5000/- for that is pretty affordable for a newly self employed like me. So, this section looks less attractive when you go and visit the website for in this section, you see simple tables with prices and details of different solitaires. No visuals. There are 10 shapes in which you can get a solitaire and I liked the way each aspect of the product is explained over there. You can find out about the cut, fluorescence etc which is often different to find out when shopping through a normal brick and mortar shop for there’s always a chance that they might lie to you for getting the product sold. Here you have all the choices available. There is a huge collection of men’s jewellery and seriously! I never knew so many kinds of jewellery even existed for men. I thought they’re just meant to stay happy with three things – rings, pendants and mens bracelets. 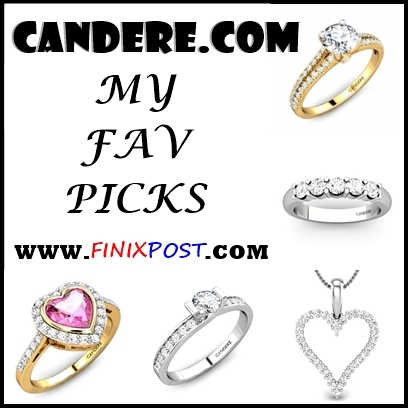 But at candere.com, you can find bands, chains, kadas, rings, pendants, bracelets and of course, gemstone rings. And I know I am saying this again, but I did love almost all the designs. Here comes my favourite part and I can write a long post describing this section but for your ease, I would keep it short. Rings, chains, nosepins, earrings, necklaces, bangles and mangla sutra – everything is available with a very good number of designs to choose from. What I loved the most is the way they have created the categories for different kinds of women’s jewellery. From chains, you can sort the machine made, handmade and Italian chains. In earrings, you can choose from drops, studs, balis, jhumkas, cocktails, gemstones, and solitaires, pearl and only gold earrings. Pendants like religious, classical, initials, hearts, solitaires, and gemstones, only gold, cocktail and daily wear are available. Similarly, you can choose from different categories for all other products. The designs are so good that I really want to buy them all. So, if I had to rate the website on basis of the collection in terms of designs and variety, it would be a 10/10. Now, let’s talk about the world that we actually live in, the world out of internet. Why would we want to buy something so precious and costly online? Indians have always been reluctant to move to the online shopping world but now is the time when online shopping is more secure and pocket friendly than the traditional shopping. Candere.com has huge discounts available on their products. Apart from the usual discounts on the website, there a lot of coupons that are available on coupons websites that you can use to get even a better deal. 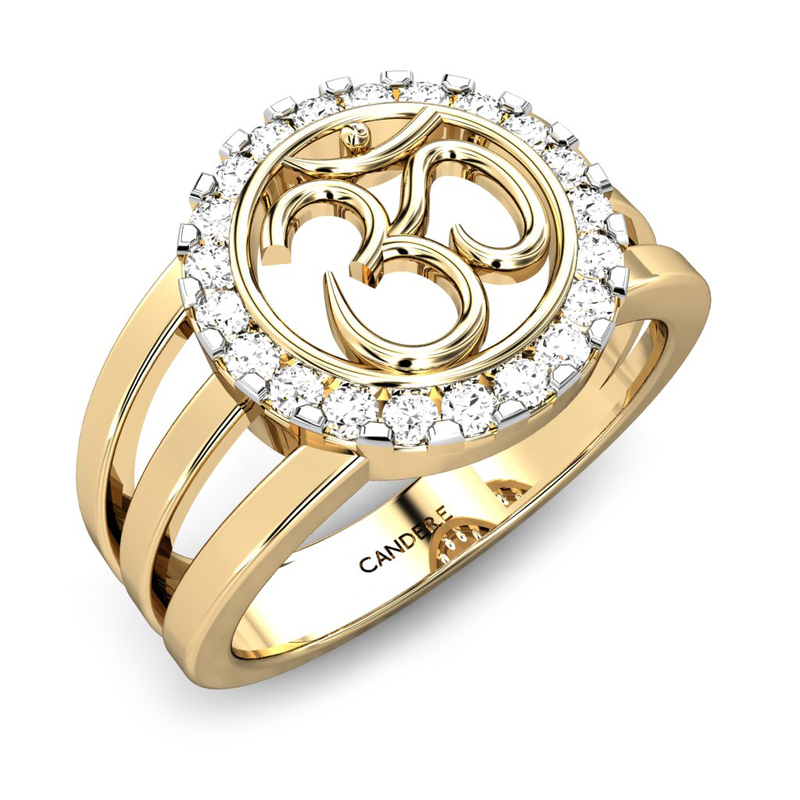 All the products come with jewellery certifications, lifetime exchange and insured free shipping. Now these are like three really heavy words which seldom brand provide. The most important feature that we really care for and want when it comes to buying jewellery online is the proof of authenticity. All of their collection comes with a hallmark as well as a certificate of authenticity. So, don’t worry! If you need more information on certificates, refer to this article for details. They offer free insured shipping all over India and the products get delivered within 7-14 days. They also offer a 30 day money back return policy in case you don’t like the product you order. The best thing I found about their website is the lifetime exchange policy. So, when you get bored of your old jewellery that you bought from the site, you can exchange it for newer one. Isn’t that awesome? You can easily pay through credit card, debit card, net banking and even cash on delivery. According to the website, their bespoke international designs and EMI options are their USPs and I so agree with that. Now, EMI is the thing you really wanted to read. Didn’t you? When you’re buying jewellery, you do long for an EMI option. You’ve got that. So, I think candere.com is really good for……… I have heard a lot about this from my friends and you know, they’re a brand which doesn’t work on paid marketing that much. Most of their marketing have been through word of mouth which happens only if the product is really good. So, I am going to give 9.5/10 to this website and I am definitely going to shop through this one. First purchase would be the gold coin and you would see it on instagram (@finix_post). Here’s the gist of the whole review in case you were too lazy (welcome to the club) to read the entire review. Huge collection of women’s and men’s jewellery.